Look what I got in my Lootcrate! Not a bad haul this month. I have to say that I don’t subscribe to any of these boxes on a regular basis any longer. For one they don’t always have stuff in there that I think is worth the money. 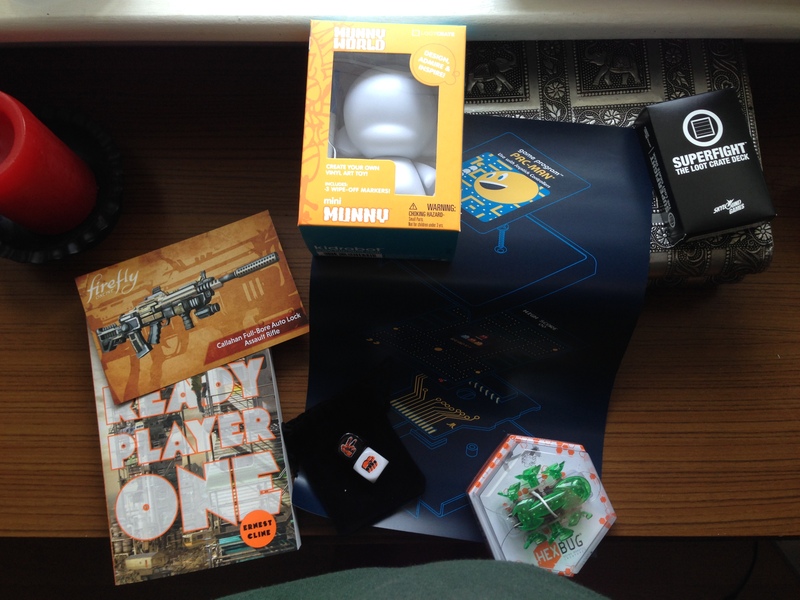 However, the one thing I absolutely loved was the book ‘Ready player One’ that came with my crate. I have already heard it as an audiobook, but it’s nice to have it in my book collection now too.